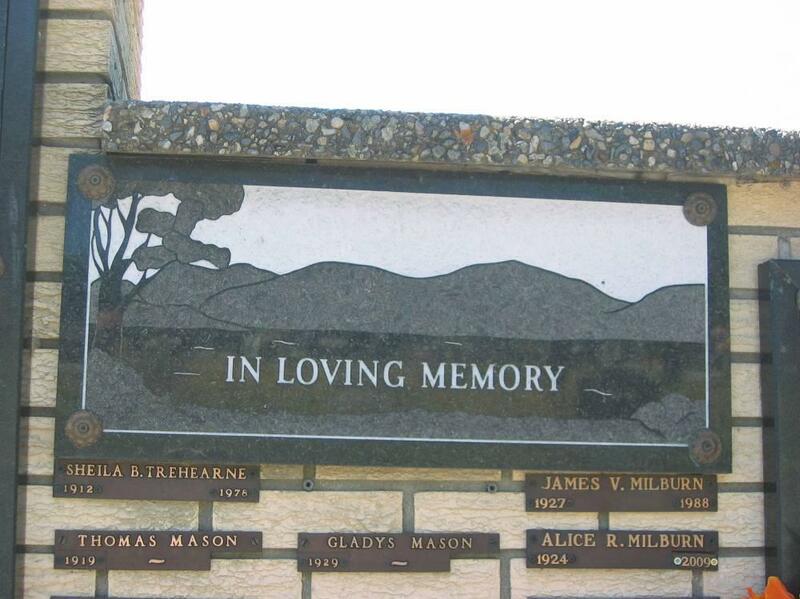 The following is a transcription of the Vernon Columbarium located in Vernon, British Columbia, Canada. Latitude: 50o 16' 31.64" N.
Longitude: 119o 15' 04.30" W.
The columbarium is located at the south-west corner of the Pleasant Valley Cemetery and to the north of the Pleasant Valley Funeral Home. It is owned and administered by the Vernon Funeral Home (Pleasant Valley Funeral Home). The columbarium was opened in 1986. The columbarium contains 240 vaults, each with enough room to hold two urns. The vaults face west and east, 120 vaults on each side. There are also memorial panels for those who are interred elsewhere or whose ashes have been scattered. Originally there was only space for 144 plaques however changes to the panels will allow for a total of 400 names that can be recorded in memory. 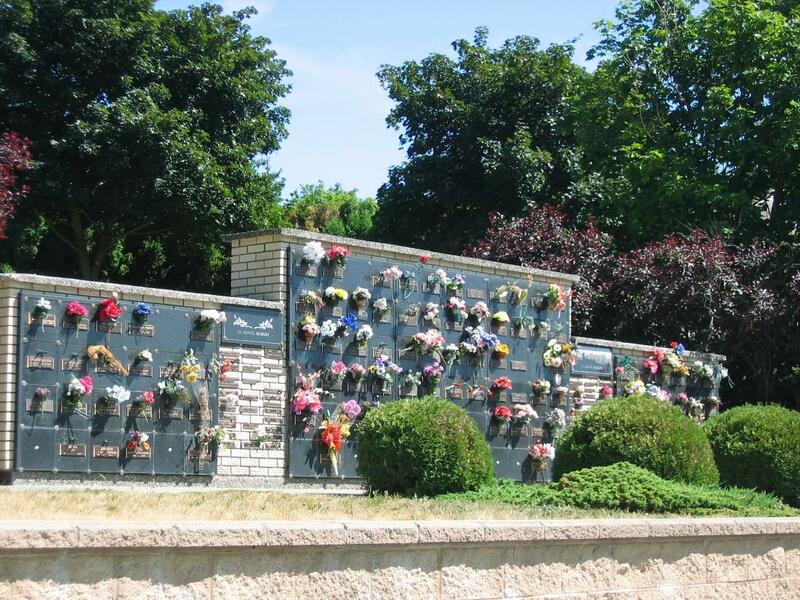 The columbarium is located in south-west corner of the Pleasant Valley Cemetery. 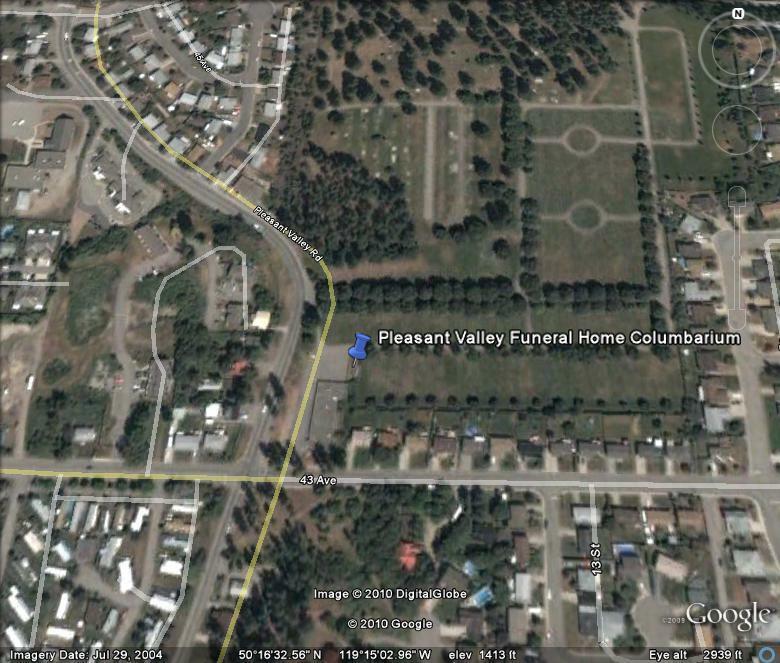 To access the columbarium proceed to the north side of the Pleasant Valley Funeral Home (4303 Pleasant Valley Road).